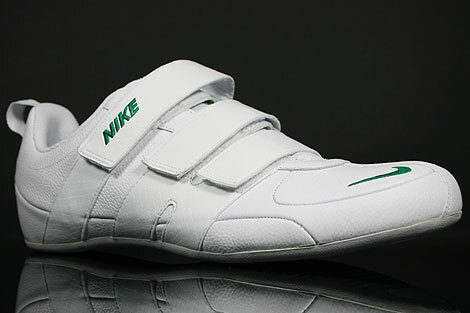 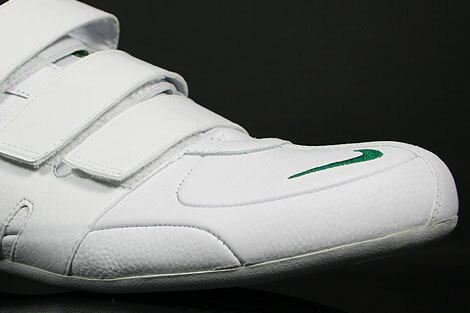 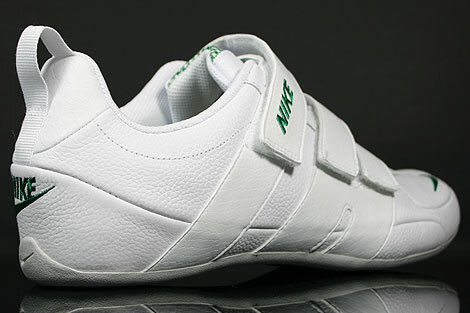 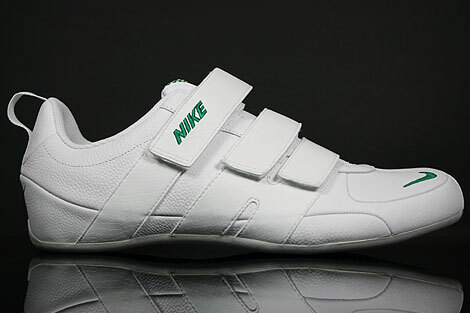 This Nike Fixed Speed V comes in a White Pine Green Neutral Grey colourway, with white leather upper and the Nike tick outline embroidered on the front, on the back and on one of the straps. 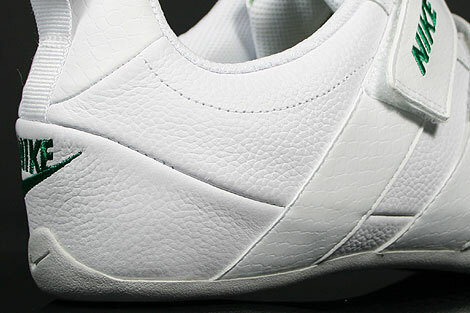 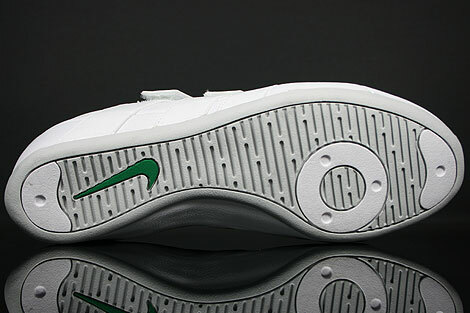 White heel feature and a nice pattern embroidered also in white/pine green on tongue. 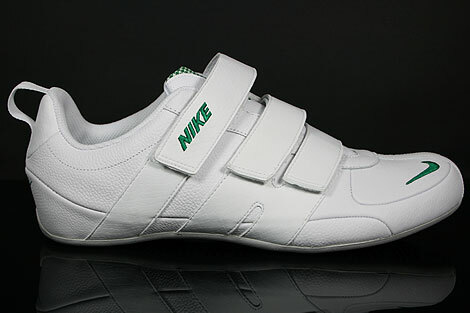 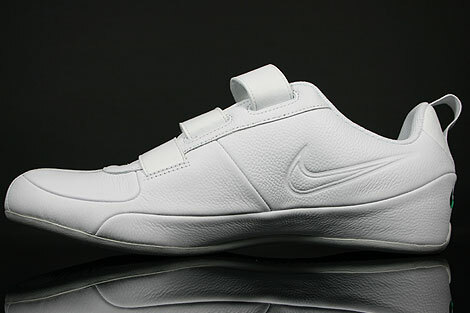 White synthetic midsole and white/neutral grey outsole complete a great looking velcro version of the classic Nike Fixed Speed V.